If you want to create a space for game room, a great way to add interest is to choose a piece from Mitchell Custom Exclusive Billiard Designs. 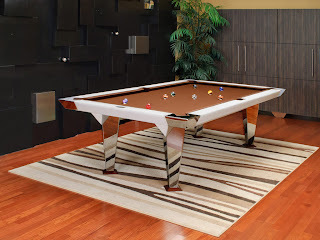 They make custom billiard tables that is sure to impress your guests. A design concept can be based off of these chic and modern stainless steel tables to create a space that would be fun and stylish.